I am accepting ARCs and review books. I also accept E-Galleys for Kindle Format. I'm also up to hosting any Contests, Interviews, Q&A's, Blog Tours, and Guest Reviews/Blogs. All donations will be used for Falling Off The Shelf, shipping of prizes, and updates to the site. BABBLING ABOUT BOOKS, AND MORE! 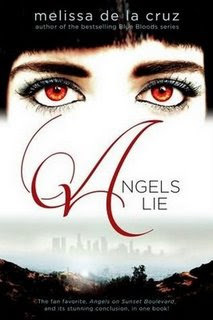 ANGEL'S LIE by Melissa de la Cruz is a peek into a world where people will trade anything for wealth and power. The Broken is a place where people shop at Wal-Mart and magic is nothing more than a fairy tale. The Weird is a realm where blueblood aristocrats rule and the strength of your magic can change your destiny. Rose Drayton lives on the Edge, the place between both worlds. A perilous existence indeed, made even more so by a flood of magic-hungry creatures bent on absolute destruction. 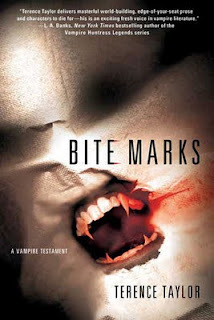 BITE MARKS: A Vampire Testament is an urban horror novel set in the downtown art world/club scene of late 80s New York. At heart, it's the story of Steven and Lori, artist and writer, an interracial couple working their way through a bad break up, but bound by a contract to do an illustrated coffee table book on vampires. When they stumble across the real thing their feelings for each other intensify as they're reunited to battle monsters they scarcely believe exist. They join forces with Perenelle de Marivaux, a five hundred year old French vampire who poses as a trance channeler in the West Village; Rahman-al-Hazra'ad ibn Aziz, her black Moorish ex-lover, the 1000 year old leader of subway-dwelling albino bloodsuckers so old, that even ordinary vampires fear them; Jim, the traumatized teenage brother of the murdered girl; Angel, the Latino leader of a subway vigilante group called the KnightHawks, and his movie star mistress. The story takes us from a Fifth Avenue penthouse to subways inhabited by vampires who prey on late night commuters; from downtown dance clubs, to East Village art galleries. Behind the scares, it's a story of diverse people in circumstances that seem beyond their control, who can only survive by putting aside their differences, to work together. Real events and people are fictionalized, to create a convincing new history that make us see the city differently. No one who reads this novel may ever walk New York's streets, or ride the subway, in comfort again. 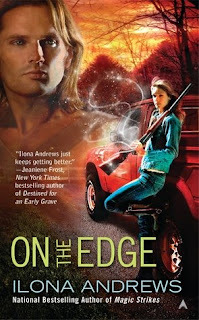 It will be out in October of 2009 from St. Martin's Press. Bite Marks yay!! I can't wait to get a copy of it. I'm currently looking to expand Falling Off The Shelf by taking on a second reviewer. I feel that with the help of another person we could get more reviews out to our fellow readers. Can read strictly one genre, or multiple, all reviews are welcome here. Contact me at FallingOTShelf@aol.com if your interested. 1 - Couldn't get into it. Update & Things to Look Forward to! I'm 23 years old, and engaged to the love of my life. 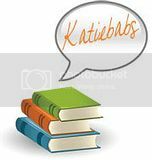 I love reading, and so I created my own book review blog. I read and review books that have been offered to me by authors and publicists, as well as books I have bought and swapped.